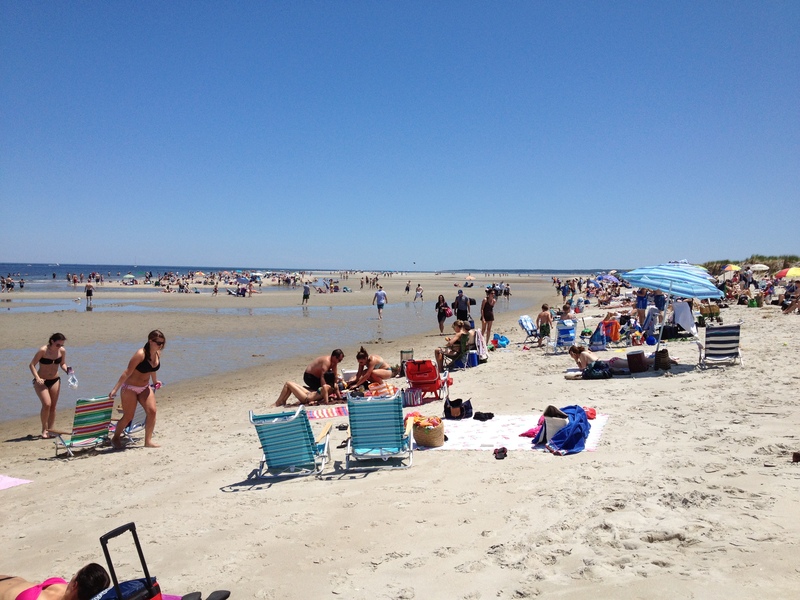 Crane Beach; Ipswich, MA - Take a day trip! Crane Beach is part of the Crane Estate and Wildlife Refuge property in Ipswich that is owned and operated by the Trustees of Reservations. It’s a wonderful beach even if the water can be brisk at times and is a short drive from Boston (under an hour) which makes it a very easy option. Combine that with a full set of facilities in the summer and it makes a perfect beach for a daytrip. There is also a wildlife refuge and estate on the property. 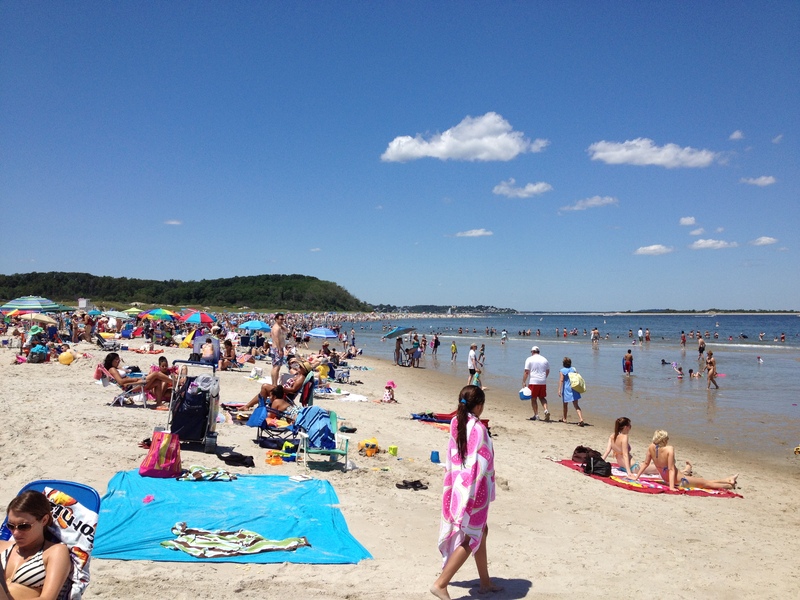 Looking south at Crane Beach on a busy summer weekend day. Dogs are allowed on Crane Beach during the off season (roughly October to May) only. They aren’t allowed there during the summer and, with so many people at the beach on many days, you probably wouldn’t want to bring your dog there anyways. Directions: Crane Beach is located in Ipswich, just about an hour or a little less from Boston. To get there from Boston and points south get on Route 128/I-95 North and take the exit for Route 1 North (20A) and follow that for about 8 miles until it drops down to one lane each way and you get into Ipswich. Once you get into Ipswich turn right onto Route 133 East and follow that into Downtown Ipswich (it will merge with Route 1A) and then turn right on Argilla Road. Crane Beach is at the end of Argilla Road. If you’re using a GPS device use any address on Argilla Road in Ipswich and follow Argilla Road to it’s end where you will find Crane Beach. Facilities, Fees and other information: Crane Beach is a very well developed property with everything you need for facilities to enjoy a day at the beach. There’s a snack bar, bathrooms, changing areas, outdoor fresh water showers and lifeguards on duty during the summer beach season. The parking lot holds 1,300 cars however don’t let the number fool you; they often fill up by 10AM on a hot summer weekend day. If the lot fills up they run shuttles from Downtown Ipswich and there is a fee to park there in the summer (click on the following link for prices).